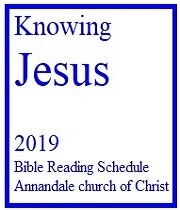 Annandale church of Christ is a spiritual family united by God's word. Join us as we learn about our loving creator and His purpose for each of our lives. We currently meet on Sundays at 9:30 AM and on Wednesday's at 7:30 PM...just fifteen miles from our nation's capital. Over 2,000 years ago, God entered our world in the flesh, so we could see our Creator in all His Glory. But Jesus didn’t just come to enlighten us. He came to restore us to God. If God is far from you, you can find your way back to Him through His Son Jesus, who is the Way, the Truth, and the Life.